Description:- Amiodar 100 mg tablet is used in the treatment of arrhythmias. It treats irregular heartbeat by blocking abnormal electrical signals in the heart. 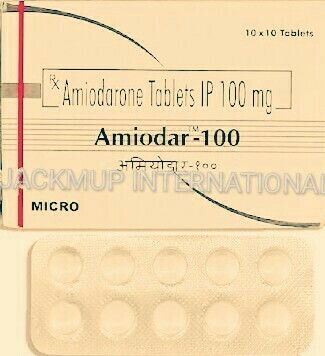 Do not take amiodarone if you have thyroid problem, severe breathing problems, serious blood circulation problems, low blood pressure, weak heart (cardiomyopathy) or heart failure.